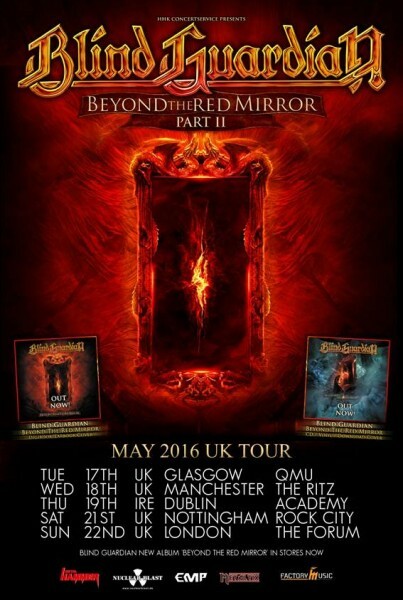 DME PROMOTIONS ANNOUNCE BLIND GUARDIAN FOR DUBLIN SHOW IN MAY! Get ready for the begging of a great Summer of Metal because progressive power metal masters and Germany’s favourite sons, Blind Guardian are very proud to announce that they will be returning to our UK and Ireland shores this year. Find out more below! The band are still celebrating the release of epic opus and critically acclaimed tenth studio album ‘Beyond The Red Mirror’, which was released in February 2015. Check out the artwork below and click on the graphic to order your copy. 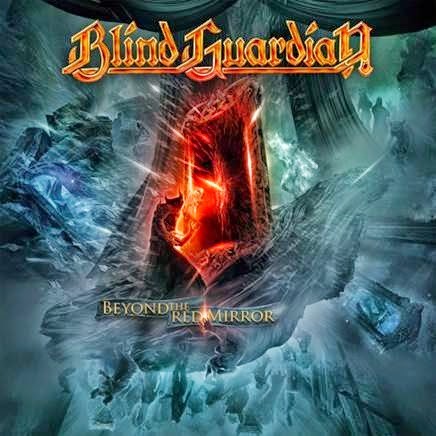 The album was produced by Charlie Bauerfeind (Saxon, Hammerfall, Helloween) showcases Blind Guardian’s incredible collaborative work with three different choirs: one from Prague (Czech Republic), one from Budapest (Hungary) and one from Boston (USA). Plus two grand orchestras, each featuring 90 musicians. These brilliant talents combined to create spellbinding results. The album transports listeners via a mysteriously powerful red mirror into an otherworldly dimension that includes tyrants, gods and the Holy Grail. The ten songs comprising Beyond The Red Mirror’s story lines revolve around the young protagonist who we first met twenty years ago in their 1995 tracks ‘Bright Eyes’ and ‘And The Story Ends’. 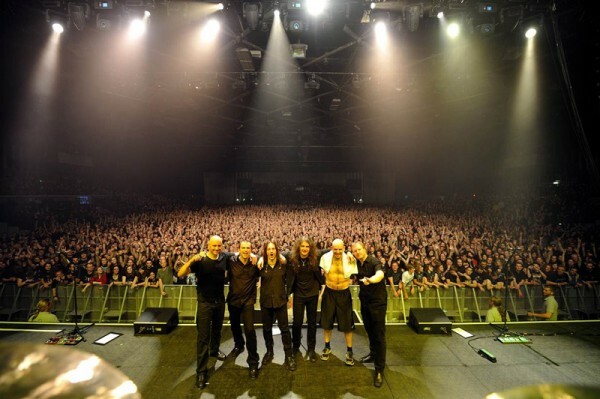 With a steady evolution from their early days as a speed metal band to their current, renowned musical alchemy of glory, drama, and grandiosity, Germany’s Blind Guardian have long since made their mark as the world’s definitive melodic/progressive metal band. For many they need no introduction, as the band possesses a track record and back catalogue of classic staples that perhaps only Iron Maiden can match. Called everything from heavy metal bards to modern day minstrels, Blind Guardian possess the ability to transport their legions of fans to new landscapes with their majestic song writing, fantastically themed lyrics, and their meticulous, emotion-packed music. Founded under the name Lucifer’s Heritage in Krefeld, Germany by vocalist & bassist Hansi Kürsch, lead guitarist André Olbrich, rhythm guitarist Marcus Dork, and drummer Thomen Stauch, the band released only two demos – 1985’s Symphonies Of Doom and 1986’s Battalions Of Fear – before landing their first record deal with Remorse Records. Inspired by the Fates Warning album, Awaken The Guardian, band members decided to change their name to Blind Guardian and soon acquired new rhythm guitarist Marcus Siepen. Blind Guardian signed with Nuclear Blast Records in early 2005 alongside welcoming new drummer Fredrik Ehmke after possessing the same line up for nearly 20 years. Catch them on tour in May. Tickets on sale now via Ticketmaster.ie, Sound Cellar with details available via DME Promotions. Official link to the Dublin Academy show can be found here. Tickets for these shows will go on sale this Friday 15th @ 10.00 am.